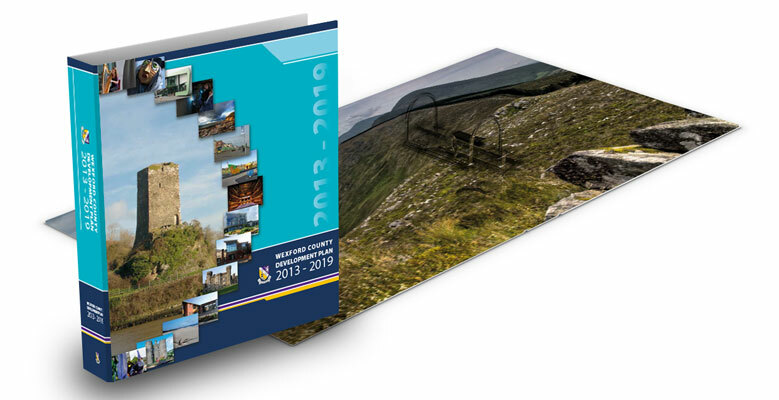 When we tendered for Wexford County Council’s Development Plan 2013 – 2019, our proposal included a Large Custom Ring Binder with colour coded Inserts and tabbed Dividers. The overall design features tables, charts and maps. The folder also housed a branded CD which contained all the sections of the Development Plan.